For most of the following health services please contact reception to make an appointment. Between 8.30am and 12.30pm every Tuesday and between 10.00am and 11.00am every Friday a Phlebotomist will attend the surgery to take blood. This clinic is by appointment only. Due to the limited number of appointments we prioritise these appointments for those aged 70+ and younger patients may continue to be asked to attend the hospital. Thursday 9am – 12noon and 2pm - 4pm. Most of the antenatal care for our patients is provided by the community midwives. As soon as you know you are pregnant you can either come and see a doctor or you can book in with the midwife directly for the first consultation. She will arrange to see you at home to plan your care and arrange for scans at the hospital. Most of the care will be done at the surgery but some may require hospital clinics. Wednesday 1.30pm – 3.30pm. This clinic is run by a doctor, the practice nurses and the health visitors. It is for advice, immunisations and developmental checks. Please do not bring children who are unwell to this clinic. Most Tuesdays (and occasionally other days) 2pm – 4pm. This clinic, for all diet or tablet controlled diabetics, is run by a doctor and the practice nurses. Patients are advised to attend at least once per year and will need to have fasting blood tests done 3 weeks before the clinic. The doctors are able to do some minor surgical procedures in dedicated minor surgery clinics, for example excising small skin lumps and injecting some joints. Once referred to the Practice Nurses they will contact you to arrange an appointment. The doctors offer contraceptive advice during normal surgery hours. Dr Bamber will fit, check or remove coils by arrangement or will insert or remove implants by arrangement. You will need to see her personally first, at a routine appointment, to discuss matters. The practice nurses have had specialist training in asthma management and can help with advice about inhalers and lifestyle. 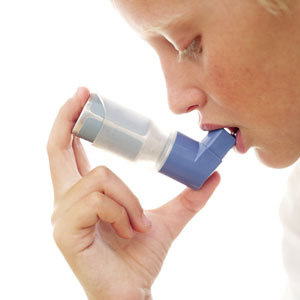 All asthmatic patients, especially children, should attend this clinic at least once per year. For advice on immunisations and healthcare whilst abroad please make an appointment with the practice nurse. This appointment should be at least 8 weeks before your holiday as late or incomplete courses of immunisation may not offer full protection. There is a charge for some courses of immunisations. The practice nurses can offer advice about many women’s problems and also about routine smears. You can arrange a smear test with the doctor if you prefer but please ask for a double appointment. The practice nurses or health care support worker will take blood pressure readings to help you and your doctor manage your hypertension. This clinic has been established meet the requirements of the National Service Framework for the treatment of these patients. It is run by a doctor and a nurse. The nurses run a spirometry clinic in support of those with chronic respiratory problems. The health care support workers run an anticoagulation clinic for patients who take warfarin. It is a point of contact service and you will be given your INR level during your appointment. Adjustments to your medication will be made before you leave.